Donald Jay Deutsch was born on 22nd November 1957 in Hollis Hills, New York City USA, of Jewish descent. The world knows him as Donny Deutsch, the TV personality and advertising executive. One of his famous appearances as a TV personality includes the hosting of his own show “The Big Idea With Donny Deutsch”, which was aired on the CNBC from 2004 to 2008. However, Donny became the chairman of his father`s company, David Deutsch Associates, in 1989, and later renamed it Deutsch Inc., before eventually selling it for $265 million in 2000, making it one of the main sources of his net worth. Donny has been active in the media since 1989. Have you ever wondered how rich Donny Deutsch is? 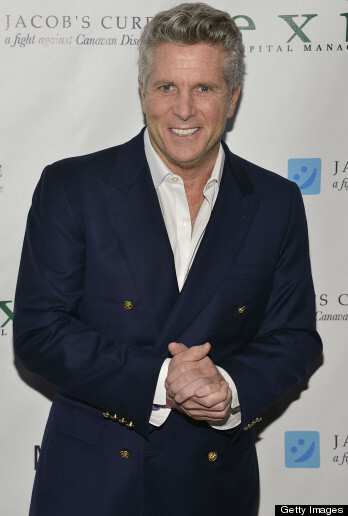 According to sources it is estimated that Donny Deutsch overall net worth is over $200 million, an amount acquired from the sale of his company and his ventures in the entertainment industry. Donny grew up in Hollis Hills, and attended the Martin Van Burren High School, after which he enrolled at the Wharton School of the University of the Pennsylvania. Following graduation, Donny joined his dad`s firm – his father was a famous name in advertising as he had founded David Deutsch Associates in 1969. Donny’s role in the company slowly grew, becoming the chairman in 1989. He sold it to the Inter-public Group of Companies in 2000. In 2004, he began his career on TV, becoming the host of the talk show “The Big Idea With Donny Deutsch, which offered success stories of people who had managed to bring their American Dream to life. The show was aired on CNBC until its cancellation in 2008. Adding further to his career and net worth, Donny has been featured as a regular guest in the talk show “Morning Joe” which is airing on the MSNBC, hosted by Joe Scarborough; furthermore he has been appearing in the program“Today Show”, on which he leads his own segment called “The Professionals”. Donny has also served as a judge on the popular NBC television reality show “The Apprentice”, which is hosted by the American businessman Donald Trump. His latest ventures in the entertainment industry include appearing in the TV series “Donny” scheduled for release in the fall of 2015. In adding to his net worth, Donny has also been recognized as an author. In 2005, he published the book “Often Wrong, Never in Doubt – Unleash the Business Rebel Within”, in collaboration with the writer Peter Knobler. In 2008, Deutsch published his second book, entitled “The Big Idea: How to Make Your Entrepreneurial Dreams Come True, From the Aha Moment to Your First Million”, this time collaborating with Catherine Whitney. To talk about Donny`s assets, he owns a five-story property in New York, for which he paid $21 million, and allegedly spent an additional $20 million on its renovation. Adding to his wealth, Donny bought a home in East Hampton Village, New York, for $29 million. When it comes to his personal life, Donny was married to Stacy Josloff from 2001 to 2015; the couple has two daughters. Donny has another daughter from his previous relationship with Amanda Zacharia. 1 Father of three daughters: Cheley Deutsch, London Deutsch and Daisy Deutsch. 2 His ad agency is responsible for the groundbreaking Ikea commercial that featured a gay couple shopping for furniture. 4 He was a lead member of the Clinton/Gore communications team in 1992. 5 Managing Partner of Deutsch Open City, an independent production company that makes films. 6 He is the Chairman and CEO of Deutch, Inc.